Check out some of our healthy, nutritious and yet tasty Japanese salad recipes. Read them and learn how to make Japanese salad. Japnese Salad dressing is added while making salad to get a juicy taste along with an addition of lots of flavor to this amazing dish. Made with an equal balance of sesame seeds, Sugar and Mirin this is one dish that is totally worth trying. The easy to make crunchy salad is also delicious and healthy. Learn how to make/prepare Crunchy Salad by following this easy recipe. Japanese Potato Salad is a very nutritious recipe. Learn how to make/prepare Japanese Potato Salad by following this easy recipe. 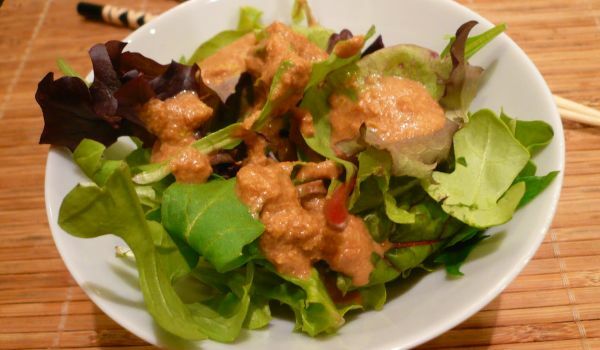 Japanese Ginger Salad Dressing is a luscious and easy to make recipe. 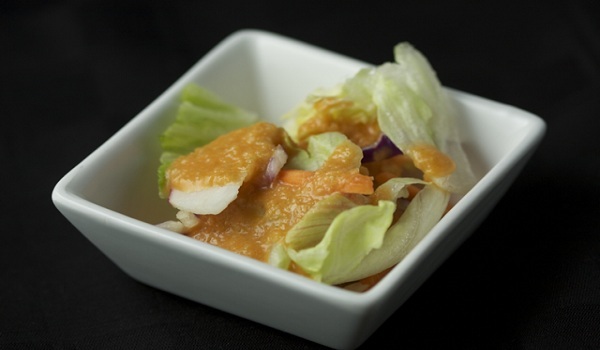 Learn how to make/prepare Ginger Salad Dressing by following this easy recipe. Eggplant Salad With Lemon-flavored Plum Dressing is a tangy, Japanese salad. 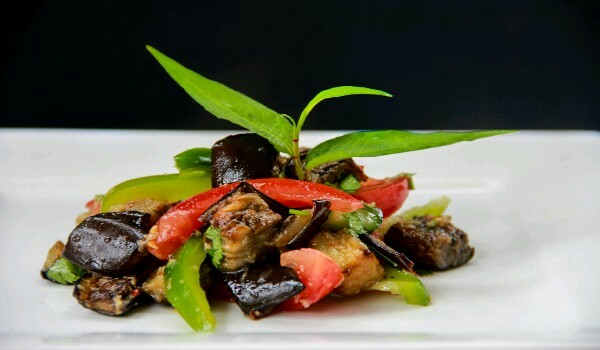 Learn how to make/prepare Eggplant Salad with Lemon-flavored Plum Dressing by following this easy recipe.